Selecting the best type of reactor for any particular chemical reaction, taking into consideration safety, hazard analysis, scale-up, and many other factors is essential to any industrial problem. An understanding of chemical reaction kinetics and the design of chemical reactors is key to the success of the of the chemist and the chemical engineer in such an endeavor. This valuable reference volume conveys a basic understanding of chemical reactor design methodologies, incorporating control, hazard analysis, and other topics not covered in similar texts. In addition to covering fluid mixing, the treatment of wastewater, and chemical reactor modeling, the author includes sections on safety in chemical reaction and scale-up, two topics that are often neglected or overlooked. 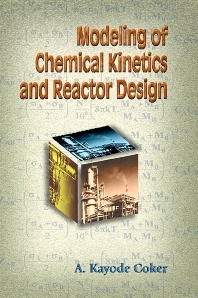 As a real-world introduction to the modeling of chemical kinetics and reactor design, the author includes a case study on ammonia synthesis that is integrated throughout the text. The text also features an accompanying CD, which contains computer programs developed to solve modeling problems using numerical methods. Students, chemists, technologists, and chemical engineers will all benefit from this comprehensive volume.